Conveniently located in Richmond’s West End, Virginia Hand Center is easily accessible for local patients from the West End, North Side, South Side, and the Fan. 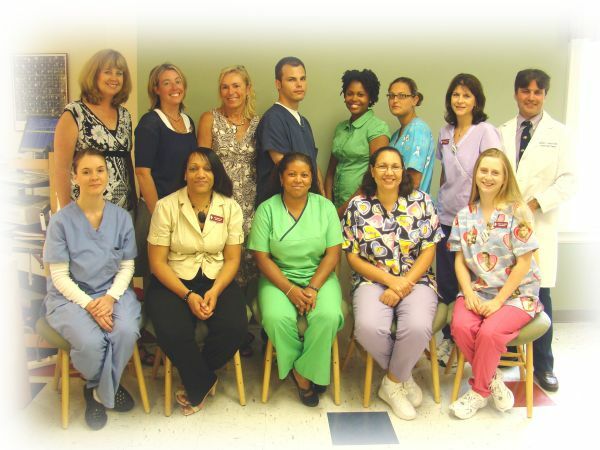 Our proximity to I-64 (Exit 183-Parham Road) makes it easy for our patients from the Tidewater or Piedmont areas, as well as patients from Fredericksburg to South Hill, to reach our facility. We have adequate parking on site. Our facility is designed with the hand and upper extremity patient in mind. Our records are all housed on site for convenient access. We have X-ray facility as well as fluoroscopy (dynamic X-ray) on site. For specialized studies such as ultrasound, CT scan or MRI, we utilize local facilities with high quality equipment. For those patients who need electrodiagnostic studies (EMG/Nerve Conduction), our studies are done on site (though they will generally not be done the same day that you are seen by Dr. Leibovic). We are very proud of our comprehensive hand therapy center on site. Staffed by caring and professional hand therapists and aides, therapy is a critical component of rehabilitation for hand conditions for many of our patients. The close communication between the hand therapists and the physician in our facility enhances every aspect of patient care and is a crucial part of optimal recovery. For those patients requiring minor surgical procedures, we have the facility to do these in our office (please be aware however that some insurance companies do not allow this, but require all surgical procedures to be done in hospital operating rooms or surgery centers). For larger or more complex procedures, we utilize Stony Point Surgery Center, or the Operating Rooms in various local hospitals.